Online shopping was thought to be practically impossible in previous generations. However, the advancement of technology rise everyday enabling complex, tedious service to become simpler and more applicable. Internet has allow us all to do many great things and online shopping is certainly one of its largest contribution. Now we can shop online without the hassle to drive all the way to the city to do grocery etc. Malaysia is certainly showing some promise in this aspect. doorstep.com.my proves it. 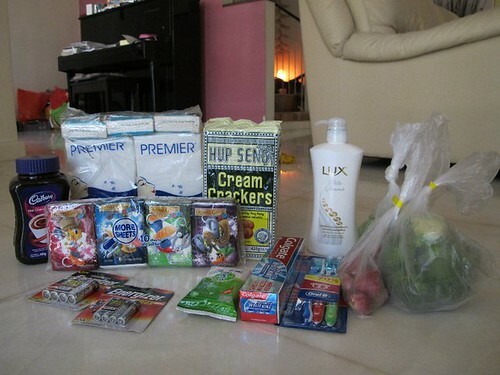 Now you can get cheaper and wide range of products, fresh and frozen grocery items delivered to your doorstep on time. You can pick your own time slot which suits your timetable to receive your goods! Online payments may seem dangerous, however worry not as doorstep.com.my provide secured payment methods. They do not save your credit card details. As a blogger, online shopping is just simply incredible! they are checking the goods list..they were so friendly and keep smiling wan :D They came right on delivery time slot that I chose ! Imagine, no more traffic jams, save money and precious time by shopping from anywhere. Doesn't it sound convenient and ideal? Receive fresh groceries especially vegetables (cut, cleaned, peeled and packed) fruits and frozen food. 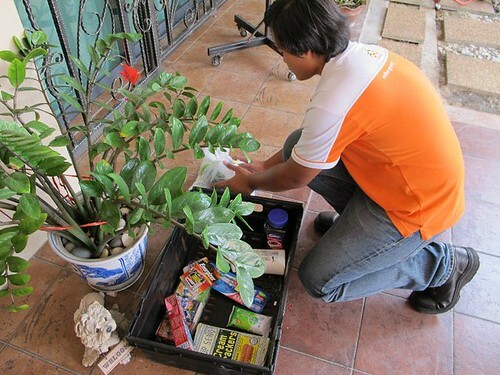 the guy put down the basket and unpacking everything for me=) they have a really good service..they gave a call to me to reconfirm the address to be delivered before they reach.. The vegetables and fruits are fresh and crisp as Doorstep has its very own refrigerating facility to keep everything in natural state. Three simple steps to shop! 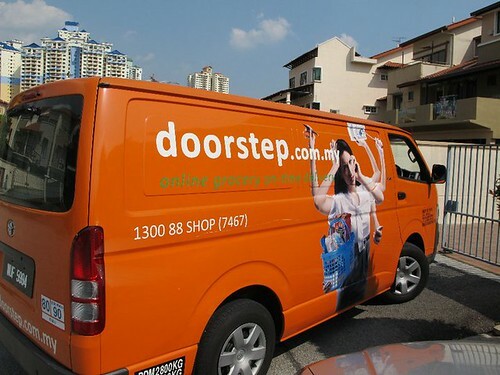 Now Doorstep is having promotions up to 50% discount and Chinese New Year hampers + promotions! 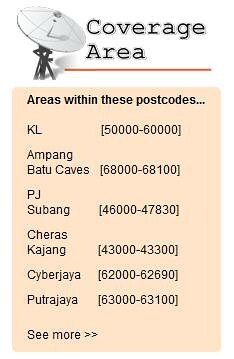 they cover most of the areas in Kuala Lumpur and Petaling Jaya ! That's good ones. I love online shopping. Unfortunately, this ones doesn't cover Penang area. We are launching zapfor.com in Dec 2013. We offer same day delivery and more. Feel free to check us out at www.zapfor.com !